The OS is Raspbian, a debian wheezy linux distribution for arm processors, with hardware floating point support. The naked raspberry pi board as it came. 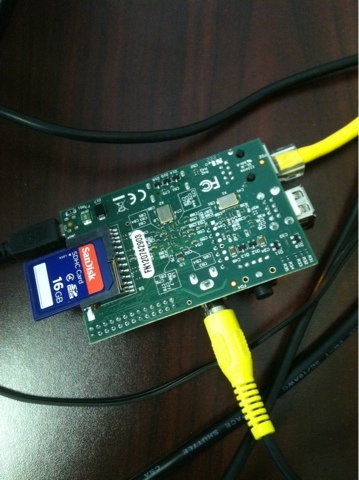 I just added the sd card. I'm starting a new blog, very focused. It is a little bit like my Solaris Desktop blog, in that it serves as a journal to record interesting anecdotes, tips and tricks and the like, using a specific computing platform. 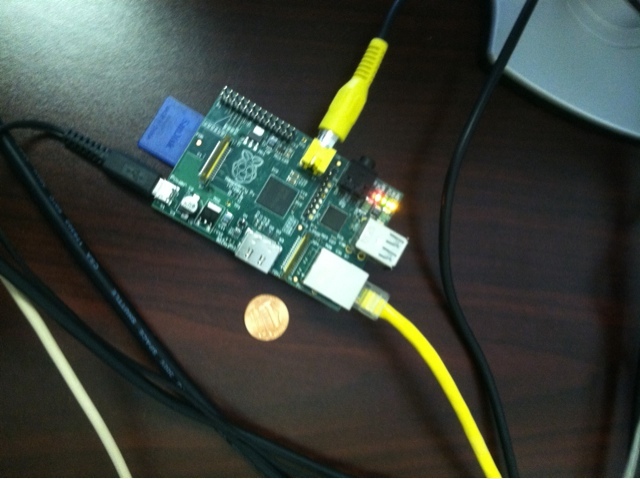 In this case, it is the Raspberry Pi computer, and more specifically, using Python as a programming language on it. It is a natural choice, as the Pi was designed to be used in educational circles primarily, and Python is a great language to learn as a first programming language, and yet is equally at ease in mission critical enterprise applications. I will also sprinkle a liberal amount of retro computing, electronics and science, along with quite a few music references. Ce blog alterne entre l'anglais, le francais, l'espagnol, le portugais et le russe. Este blog varia de idioma, casi a cada articulo. En ingles, frances, espanol, portugues y russo. Este blog é uma alternância entre Inglês, Francês, Português, Espanhol e Russo.